With it’s fairytale turrets, ancient stone walls and commanding views over the vineyards of southern France, the fortified medieval town of Carcassonne is steeped in history and an unsung Mediterranean hero. But there’s more than meets the eye – fantastic food, an enchanting city centre and the Canal du Midi add to the rich patchwork of this spectacular French town. 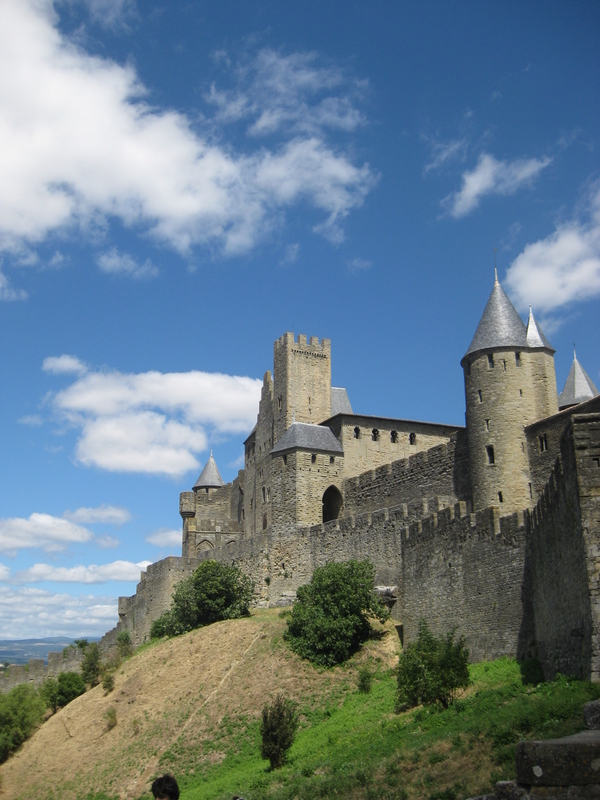 My Carcassonne travel guide shares the highlights and lesser-known gems of this region. There’s something timeless about the south-west of France. It feels like the narrow, winding streets of sleepy market towns have changed little in centuries. 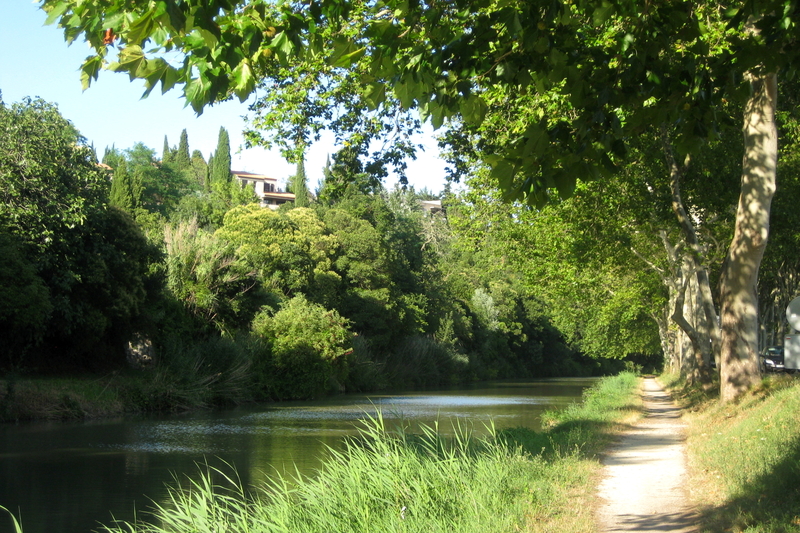 The Canal du Midi snakes languorously through vineyards and fields sheltered from the heat by ancient plane trees. 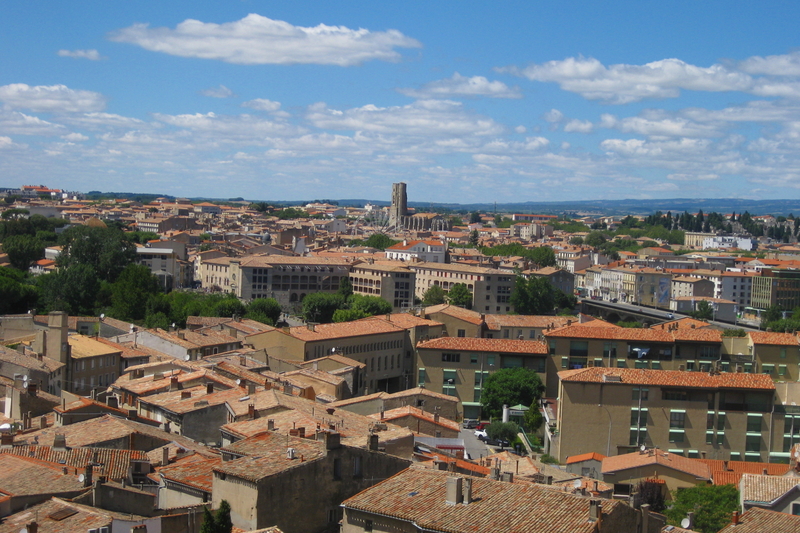 At the region’s heart you’ll find Carcassonne, a medieval fortified town perched on a green hill above the river Aude. With it’s soaring towers, imposing gateways and panoramic views there’s plenty to take your breath away. But its fairytale appearance is just the start. A labyrinth of ancient streets and warm stone houses lure you in and invite you to explore. 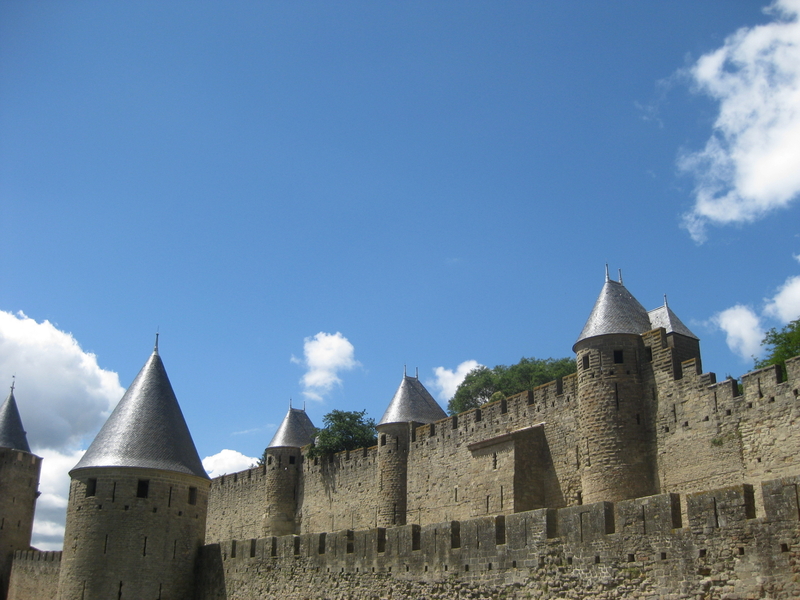 I first discovered Carcassonne as a eight-year old, as the highlight of summer holiday adventures in the Languedoc. A couple of summer’s ago I decided to head back, not quite sure what to expect, but curious to see if it had changed. Returning to somewhere you loved as a child requires a bit of optimism and crossed fingers, and I’d had my doubts when we booked our trip. Would two twenty-somethings really love a city that had captured my imagination all those years ago? Thankfully, the crossed fingers worked. The delights of the castle – known as la cité – hadn’t diminished at all. Carcassonne today is just as awe-inspiring as it was twenty years ago – and the surrounding city and region is blooming. Architecturally, it’s fascinating, but it’s also great fun. Whether you’re into vineyards, history or pretending you’re a medieval knight for the day, there’s something for everyone in this magical French town. The area around Carcassonne has been inhabited since neolithic times. But the first major construction began under Roman rule, when a hilltop castle was built on the site of the current fortified town. A small settlement grew up around the castle, but things didn’t really get interesting until the Visigoths came along in the 5th century. Building on the footings of the now decaying Roman stronghold, the Visigoths constructed a substantial and strategically-located fortress. Carcassonne, as we know it today. Despite the rise and fall of the Visigoths and many attempts to take the fortified cité, Carcassonne not only managed to survive but also sustain a community both inside and outside of it’s walls for almost a thousand years. It wasn’t until the Treaty of the Pyrenees in 1659 that the state of Rousillion, of which Carcassonne and it’s surrounding lands were a part, was ceeded to France and much of the city’s military importance diminished. From this point onward, without a substantial military presence, the town fell into disrepair and was largely abandoned. All wasn’t lost though. The Ville Basse, which had grown up around the foothills of the castle, began to flourish as a market town and a burgeoning industrial centre as the nineteenth century arrived. Two other arrivals were to prosperity to the city: the Canal du Midi in the late eighteenth century, and architect Viollet-le-Duc. A nostaglic interest in medieval France and it’s architecture had begun to bloom in the early nineteenth century, and Viollet-le-Duc was hired to undertake restorations of some of the country’s most iconic buildings. Alongside Notre-Dame de Paris, Mont St. Michel and Fougere, he tackled the crumbling remains of Carcassonne, bringing la cité back to life (and embellishing slightly as he went, die-hards will tell you the pointed turrets and crenellations aren’t original – but I rather like them). In the last hundred years or so the Ville Basse has continued to grow into a lively, vibrant city, and the castle on the hill has flourished. There’s more than enough to keep even an intrepid visitor occupied for a day in the fortified cité. Get lost in the labyrinthine streets. Explore beyond the main street and find hidden alleyways, cosy squares, beautiful houses as well as monumental gates and doorways. Walk the walls. In parts, you can walk between the two outer walls of la cité (between the Porte Narbonnais and the smaller gate near Place Saint-Nazaire) looking up at the imposing towers and fortifications. Or, to escape to a part of the medieval city without any crowds, head out the Porte de l’Aude to the west and wander the rugged little footpaths that hug the outer walls, clinging on between the castle and vegetable gardens below. Discover the Château Comtal. Or rather the outside of the château. Confession: I’ve never actually been inside (it’s worth noting you’ll need to buy tickets if you want to look around the interior). But the building is one of the most impressive you’ll see within the fortifications, and if you take a little side street to the right of the entrance, you can stroll around the little ornamental garden at the foot of the castle walls. Find stunning stained glass in the Basilique Saint-Nazaire. The extraordinarily colourful windows in this medieval church are believed to be the oldest in southern France. Soak up a panorama or two. Head out towards the walls and you’ll find spectacular views opening up. To the south, look out over a vista of vineyards as far as the eye can see, and to the north take in the town centre with it’s own city walls. Eat. Yes, I’m predictable. But you might think that somewhere this popular isn’t the best place to find delicious local food. However, I’m happy to report that with a little judicious decision making there are some great restaurants to be found in la cité. Plus, the atmosphere on a summer’s evening can’t be beaten – grab yourself a table on a terrace and a glass of delicious local wine. Whilst during the summer months you might have to negotiate the winding streets with crowds during the day, don’t be fooled into thinking Carcassonne is just for show. 24 hours a day, 7 days a week, 356 days a year the town is alive. 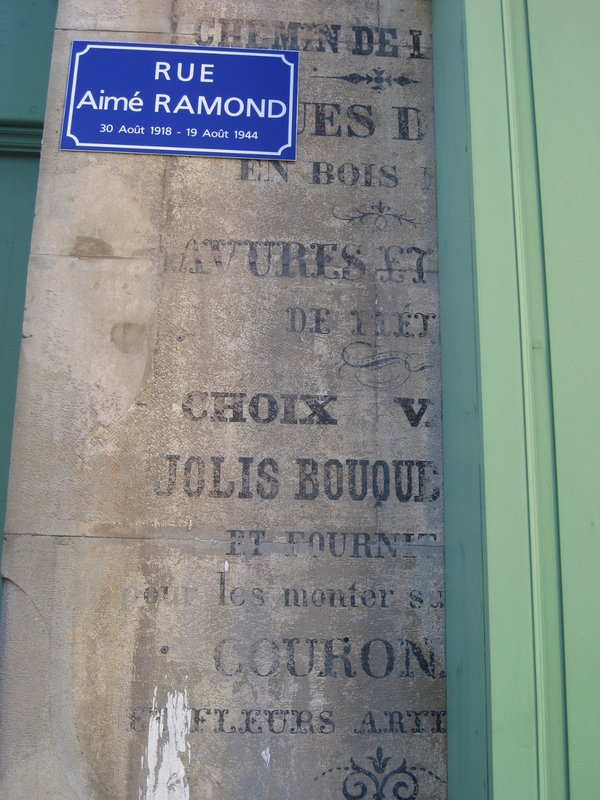 Beyond the château, shops and restaurants, real people live here too and one of the charms of the place is spotting to the signs of everyday life that pepper the streets. And for more local flavour, head towards the Ville Basse beyond. Whilst most visitors stay within the walls of the castle, you’re missing a trick if you don’t explore the rest of the city. 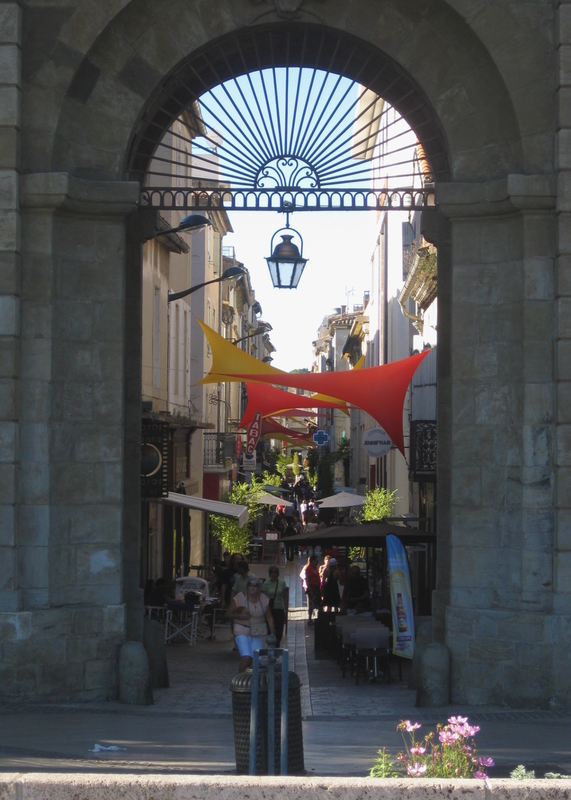 Step away from the entrance of the Porte Narbonnais and you’ll find a few winding streets weaving their way down to the river Aude. Here you’ll find the old bridge, now pedestrianised, that invites you to explore the other side to this remarkable city. The Ville Basse (also known as the Bastide Saint-Louis) is the living, breathing heart of the modern city of Carcassonne. But it’s all relative. The town grew up in the middle ages and the majority of buildings now occupying this space date from the eighteenth and nineteenth centuries. Thanks to flourishing industry over the past few centuries and a location at the centre of a prosperous winemaking region, the town has thrived. The old centre is loosely ringed by old city walls – not in the same league as the castle on the hill, but reminiscent of the bastide towns you find in this part of the world. Enter through one of the old city gates and you’ll find yourself in a warren of cool, shady streets that criss-cross and intersect with one another. Whilst you’ll find a few local cars here, it’s best explored on foot. At the geographic and metaphorical centre you’ll find the main square – Place Carnot, home to the Saturday morning market that explodes weekly in a riot of colour, scent and sound. Any other day, you’ll find it a quieter spot to enjoy coffee or an early evening aperitif under the shade of the plane trees. There’s a nice selection of shops to explore and a fantastic old-fashioned covered market building just off the main square is home to the city’s traditional butchers, cheesemongers and fishmongers. I love the streets of the Ville Basse best early in the morning. Head into town before the sun is up to pick up fresh bread and pastries for breakfast from the boulangerie on Place Carnot. Carcassonne might be a city, but that doesn’t mean green spaces don’t abound. Aside from the rolling countryside and farmland nearby, two of my favourite places to walk are alongside the river Aude and the Canal du Midi – which weave their ways through the city centre. The river crashes it’s way down through Carcassonne from its source in the Pyrenees en route to the Mediterranean. In summer, it’s quite gentile and its banks are a cool and shady spot to stroll and escape the heat of the day. You’ll also find some great campsites alongside it as you head out of town. The canal is more sedate but no less beautiful. Join the towpath near the railway station and walk in either direction. We hired mountain bikes in town to explore the countryside. On two wheels we followed the canal as far as Trebes, about 10km out of town, before heading off into the vineyards and sun-soaked farmland beyond. Cycling alongside the canal is glorious, and on a hot day the tall trees along it’s banks offers a little relief from the sun. Although the coast is only an hour or so away by car or train, there’s a refreshing alternative nearer to town. Lac de la Cavayere is where the locals go to cool down. A short bus ride or drive brings you to this pretty little lake set in a midst of a Mediterranean pine forest. Lac de la Cavayere started life as a reservoir before becoming a beach (it’s surprisingly common in south-west France even if it feels a little alien to us Brits). It’s somewhere you can swim, sunbathe and stroll to your hearts content. Family-friendly, it’s also great for active folks as there are trails all around the lake and nearby woodland. There’s also picnic spots galore. 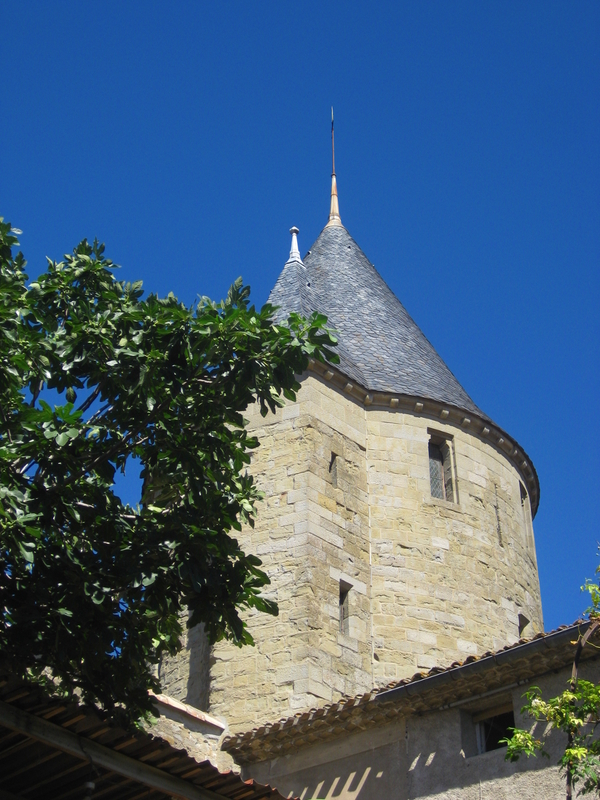 Have you visited Carcassonne, and found any hidden treasures I’m yet to uncover? We flew direct to Carcassonne from Bournemouth with Ryanair. From the airport, it’s a short bus ride (services run regularly) or taxi to the city centre. We booked a fantastic apartment (Apartment Massena) from the incredibly nice people at Carcassonne Apartments. Beautifully restored and comfortably furnished, it was the perfect base for a week’s stay and only a few minutes walk from the highlights of this small city. Located on Rue du Pont Vieux, it’s halfway between la cité and the Ville Basse, and only a minute or two from the river Aude.